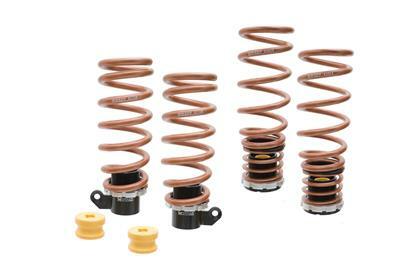 The Pro-S Height Adjustable Lowering Spring System offers an inexpensive, yet high-quality solution for vehicles equipped with factory electronically adjustable shocks and struts that cannot use conventional coilover systems. Factory springs and spring seats are replaced with Megan Racing’s adjustable threaded bases offering ride height adjustability and corner balancing capabilities while retaining the vehicle’s electronic damping ability. Ultra-low friction Polyoxymethylene and steel thrust bearings provide smooth spring operation and superior resistance towards outside elements and long-term use. 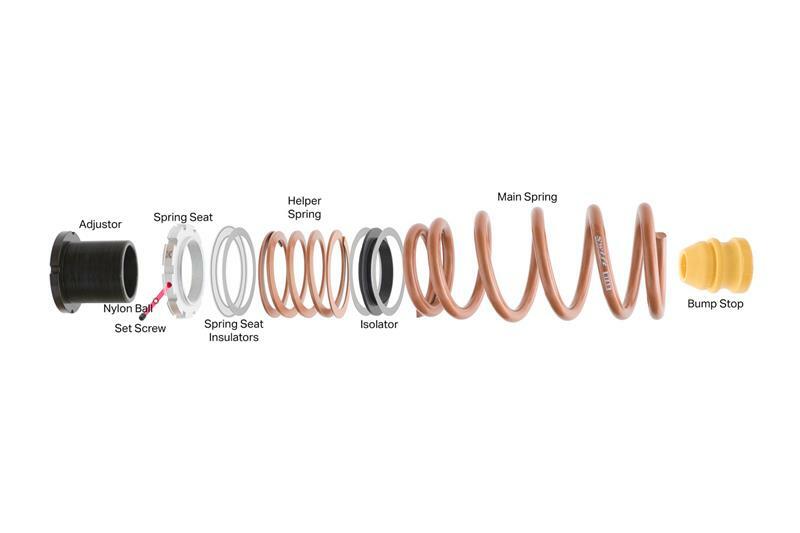 As an industry leader in spring technology and development, Swift Springs are provided with every Pro-S kit to deliver unsurpassed and unrivaled performance and linearity, unlike those offered by other spring manufacturers. 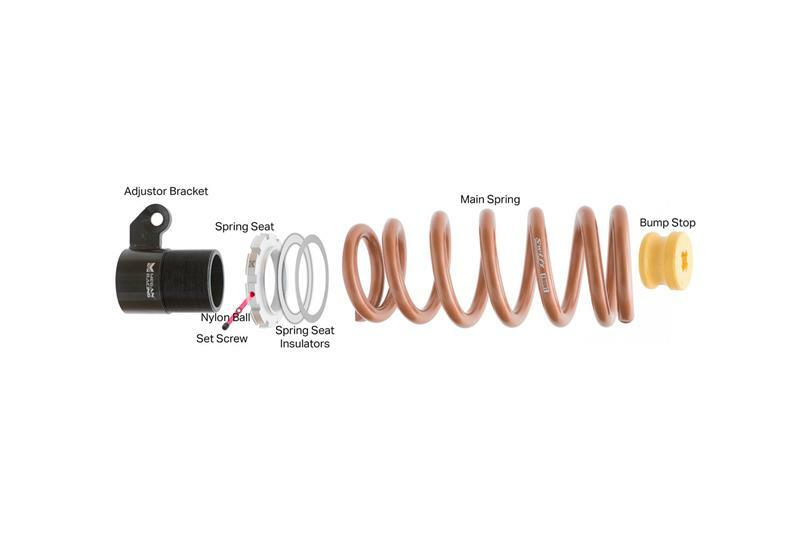 Designed with the emphasis of maintaining the perfect balance between aggressive, high performance driving and street comfort, the spring rates selected provide exceptional control over vehicle dynamics while being soft enough to adequately absorb road abnormalities and undulations. All while being able to completely utilize the vehicle’s factory suspension driving modes and features. 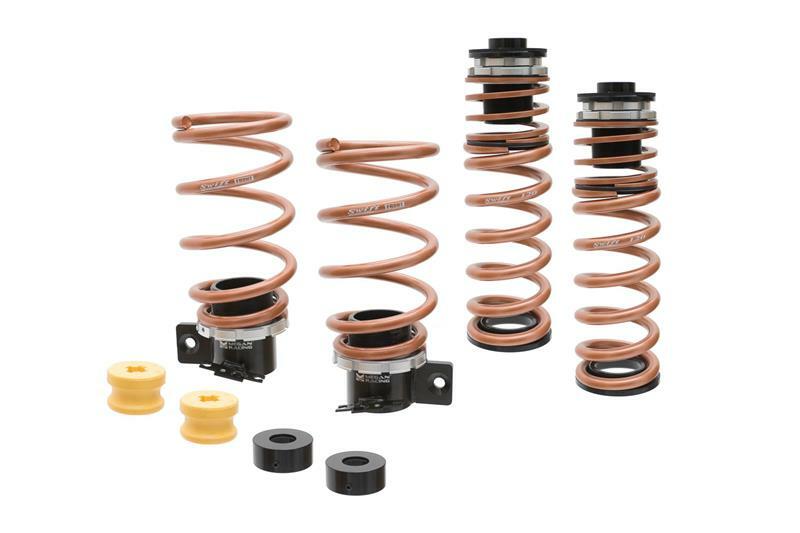 All Megan Racing products are covered with a 1-year warranty against manufacturer defects.